Open the door of a new automobile, and all of the senses are seduced into action: smell, touch, sight, hearing and, yes, even taste, metaphorically speaking any way. What’s more delicious then sitting down in your dream car? Automobiles are, to borrow a phrase from writer Diane Ackerman, “sense-luscious.” Open the door to a new Corvette Stingray ($51,000) and inhale the aroma of, well, newness. Run your hands over the smooth steering wheel and soft leather seats. 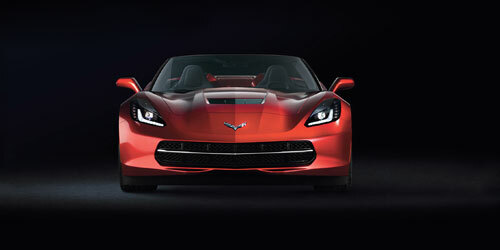 Gaze out the windshield at the Stingray’s sensual lines. Push the ignition button and listen to the V8 purr. Can’t you just taste the thrill that awaits? According to studies reported in The New York Times, “Americans are buying fewer cars, driving less and getting fewer licenses as each year goes by.” Maybe. But studies can be wrong. Besides, we prefer anecdotal evidence, and if you peek at the 2014 glittering gems in South Florida’s automobile showrooms you’d have to agree that America’s love affair with the car is alive and well. The thought of driving, say, a Mercedes-Benz S63 AMG 4MATIC ($51,900) is right up there with winning an Oscar for Best Actress or hitting a home run to win Game 7 of the World Series. There’s nothing quite like it. Cars are our chariots of pleasure. We drive them – and they drive us. J.D. Salinger, famously expressing his disdain for the automobile, said: “I’d rather have a goddamn horse.” But then, the recluse in the rye didn’t live in the real world, and surely never indulged in the unadulterated fun of driving a Volkswagen Beetle GSR Special Edition ($29,995). With its yellow-and-black paint job, the GSR looks like a bumblebee with a sweet sting. OK, yes, cars clog our streets and highways. They’re a huge contributor – though less than they once were – to pollution and global warming. But they also liberate us. They carry us through verdant valleys and to the peaks of pristine mountaintops. Lower the top of a Chrysler 200S Convertible ($33,195) and cruise along the ocean on A1A at dusk. How sense-luscious would that be? If you truly want to state your environmental bona fides, ask to test drive the groundbreaking BMW i3 Electric ($41,350). “The BMW i3,” trumpets its manufacturer, “heralds the dawn of a new era for individual mobility.” Don’t knock it until you drive it. The case could be made for this being the golden age of the modern chariot. Have there ever been more choices for what ferries us around town for work or fun? For example, one vehicle that appeals to all the senses and just about every member of the family is the Audi Q7 SUV ($47,700). The pick of the German automaker’s lineup for large families accommodates up to seven people, and stylishly so. With all these luscious options, few people aside from J.D. Salinger would choose a return to the days of the horseless carriage. But don’t take our word for it. Open the door on one of the cars mentioned here or dozens of other 2014 models in South Florida’s showrooms and let the five senses take you on the ride of a lifetime. Roger Dean Chevrolet 2235 Okeechobee Blvd., West Palm Beach,561-594-1478. Mercedes-Benz of Fort Lauderdale 2411 S. Federal Highway, Fort Lauderdale,954-949-0623. Gunther Volkswagen of Fort Lauderdale 1660 State Road 7, Fort Lauderdale, 954-797-1660. Massey Yardley Chrysler 777 N. State Road 7, Plantation, 954-327-4000. Lauderdale BMW 1400 S. Federal Highway, Fort Lauderdale, 954-527-3800. Audi Coral Springs 5555 N. State Road 7, Coral Springs, 866-387-8080. Napleton’s North Palm Hyundai 3703 Northlake Blvd., Lake Park, 561-283-3930. Rick Case Automotive (multiple locations), see rickcase.com.